My grandmother passed away recently (hence no blog post last week). She was such a tough lady. It took two major strokes and being 90 years old to finally beat her, and even then she was still fighting to live. I’m so proud to call her my grandmother. She did a lot with her life, although I know that she didn’t feel like it. She was a retired nurse, retired nursing supervisor at a veteran’s hospital, and a graduate of Baylor University. 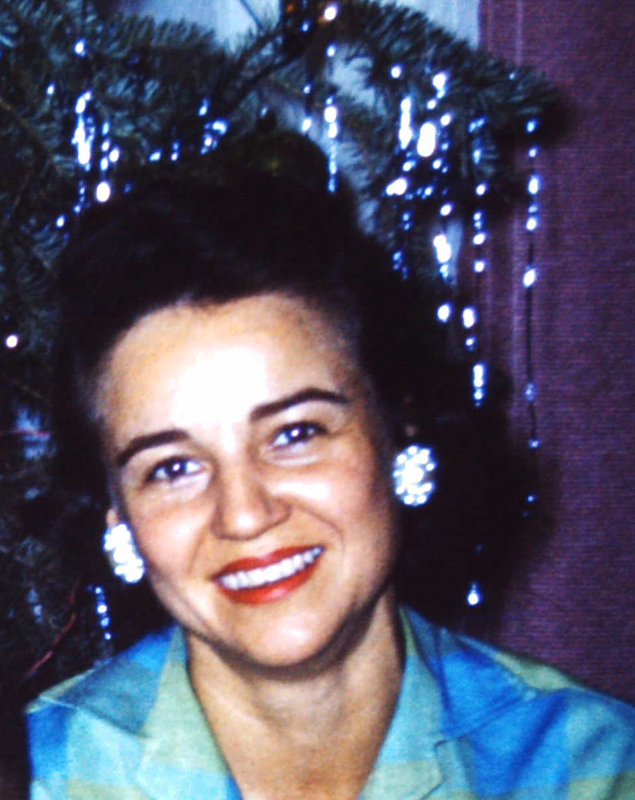 She was also the rebellious daughter of a preacher, breast cancer survivor, and lover of antiques, dogs, and mountains. Heck, she drove across the country by herself in her little sports car when she was in her 70s. I’m so utterly proud to have had the privilege of knowing her, of loving her, and of being loved by her. She taught me a great deal, and I would like to share some of her lessons. 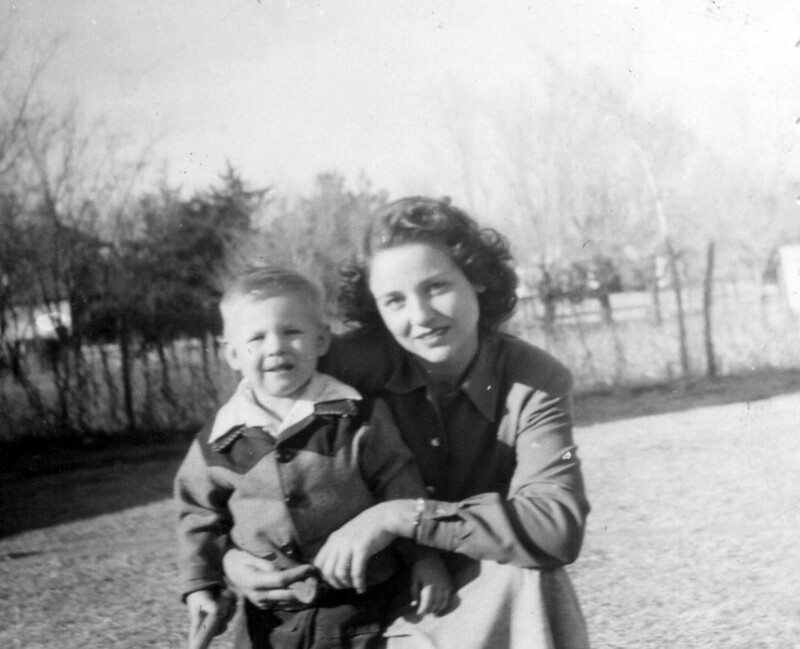 My grandma with my dad as a little guy. She was truly beautiful. 1. Don’t be pressured into things. My grandma was a headstrong woman, and if she didn’t want to do something, then dang nabbit, she wasn’t going to do it. While this caused her a little grief during her life, it also caused her to stand up for herself and to fight unwaveringly for what she believed was right. 2. Little acts of kindness go a long way. While not exactly a social butterfly, my grandmother always showed kindness to others. For instance, there was a woman in her retirement home who had the same birthday as her. Every year on their birthdays, my grandmother would take a flower from her own birthday flowers that my dad and I gave her and give one to her birthday buddy. I know that that simple flower made the lady smile and feel special. Indeed, acts of kindness don’t have to be seemingly big to matter and to make a difference in someone else’s life. 3. No matter what her age may be, every woman wants to feel like a beautiful girl every now and again. For those of you with grandparents who are still living, I ask you to remember this lesson that took me so long to figure out. See how you can do something nice for your grandparents with this in mind. 4. Don’t be hurt by rejection; you didn’t want them/it anyway. A few days after my grandmother had her last stroke, I got a rejection letter from a school. Honestly, that rejection was the last thing that I was worrying about as I watched my grandma lying in that hospital bed and trying her best to heal. I told her about it because I didn’t know what else to talk about, and my grandmother said, “Well, crap on them. You don’t need them.” This attitude is perhaps the best way I can think of to view rejection. 5. Always fight for justice, even if it’s in small ways and even if it doesn’t change anything. When my grandmother was a nurse, she worked at a Catholic hospital for a while in the maternity ward. The nurses would bring the babies to the new mothers for feedings, and at that exact same time, the priest would come in and give the Eucharist. This bothered the mothers because, while he was a priest, he was also a male and saw them breastfeeding. Keep in mind that this is in the American South during the 1950s and 1960s, so modesty and privacy were big things. Anyway, the nurses tried to get the priest to come in at a different time in order to give the mothers some privacy, but he wouldn’t budge, and the babies weren’t exactly keen on altering their feeding times (how unreasonable of those newborns!). So, one day, my grandma saw the priest walking down the ward’s halls alone. She took a metal bed pan and threw it as hard as she could on the floor, and the earsplitting sound echoed through the halls and scared the crap out of the priest. He turned around and saw my grandmother glaring at him. He said nothing because he knew why she did it. Admittedly, this act didn’t change his behavior, but, in a way, my grandma registered her discontent with him and got a little piece of justice. This is my grandmother at a Baylor homecoming. This lady bled green and gold. 6. Be the person people come to talk to when they have nowhere else to turn. My grandma was that person for me, and not only did she help me to maintain my sanity, but she also made me feel like I wasn’t alone. Everyone should have someone be this kind of person for him/her in his/her life. 7. You’re never too old to be silly. Silliness helps life to be more enjoyable, and, as my grandma showed me, it keeps you young at heart as well. 8. Never stop laughing. Laughter is like silliness—it is essential in order to enjoy life. 9. Support the ones you love. My grandma never quite understood what “blogging” meant, but she always supported my blogging endeavors. When I would get invited to do a guest blog, she would celebrate with me. When I needed to get a second opinion on a post, she was there to listen. Her support was unwavering, and I can only hope to support my future grandchildren like that. 10. Add milk and sugar to your boiling water for extra sweet corn. My grandmother was a terrific cook, and her tip definitely makes the corn taste better. 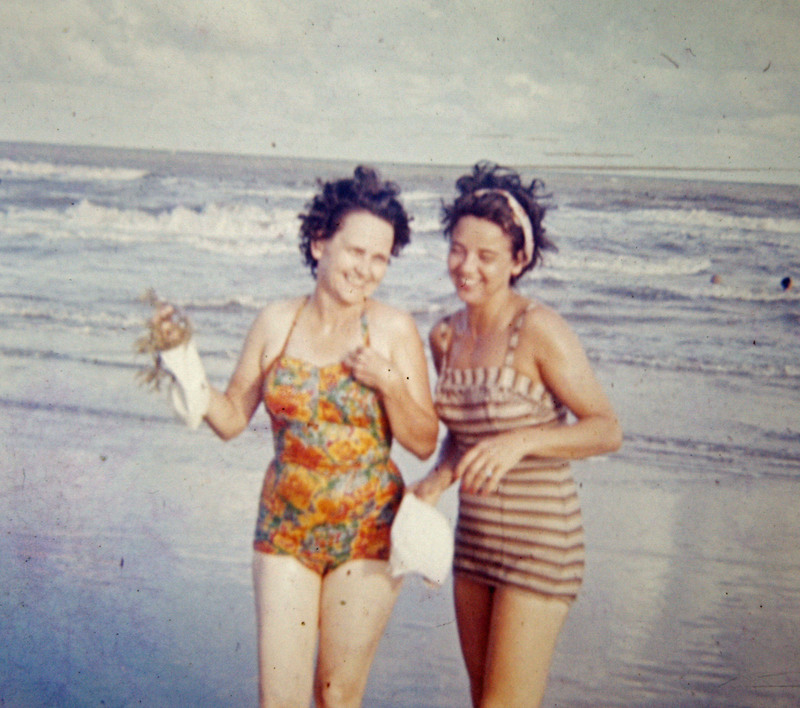 This is my grandmother (right) with one of her sisters-in-law (left). My grandma never found a beach that didn’t call her name. 11. When someone gives you presents, pretend that you like them, even if you don’t. My dad and I would give my grandmother clothes for her birthday, Christmas, etc. Every time she would open the gift, she would rave about how beautiful the clothes were. It took me years to realize that we would never see her wear some of these “beautiful” outfits. She adamantly denied ever disliking anything that we got her, but I know. That sweet lady would rather have a closet full of ugly (according to her tastes) outfits than possibly hurt my dad’s and my feelings. 12. Take lots and lots of pictures. I didn’t realize how important pictures were until my grandmother was in the hospital fighting the effects of this last stroke. Those pictures showed her vital, laughing, and happy. They helped me to see who she was before she was “Granny,” and they felt like my last tether to her. Even now, I can hear her laugh and voice more clearly when I’m looking at a picture of her than if I just try to remember on my own. 13. Appreciate your family history. My grandma chronicled our family history to about six generations back. She also chronicled my grandfather’s history. I know where I come from, I know familial legacies, and I can look at the faces of the past in old photographs because of her. 14. Never stop trying. In the hospital, blind and paralyzed, my grandma asked, “Why can’t I get better?” Despite her ailments, she never stopped trying. What courage it takes never to stop trying no matter what. I can only hope to have her courage someday. 15. Live your life so that when you finally do pass away, you end up crushing your loved ones’ hearts. If they’re not crushed, you didn’t live your life correctly. Look at that gorgeous smile. Needless to say, my grandma’s passing crushed my heart. I guess that that means that she did life right. What a beautiful tribute to your grandmother. Absolutely words to live by. Fifteen caught me quite off guard. Three and seven just made me smile. Great job! Emily Preston has posted some terrific words to live from her grandmother who just passed away. I thought they were pretty bloomin’ amazing. A beautiful tribute, your grandmother sounds like she was a great lady. Thank you for your kind words, prayers, and for reading. Thank you. She truly was. Thank you very much for your kind words and for reading, Tricia. She was truly unique and special. I have so many wonderful memories of her, and while they’re a little difficult to sort through now, I know that I’ll continue to treasure them and someday tell my own grandchildren about her.